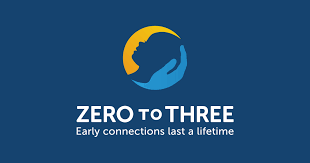 In 2015 I attended the Zero to Three conference for the first time. I was inspired to be in the company of 3000 other practitioners who devote their career to benefitting the care of babies. You can read about my biggest takeaway from that conference here. I walked away from the conference saying to myself – I want to present there next year. During the summer I was excited to find out that my presentation proposal with my colleague Mia Pixley was one of those chosen out of hundreds. Presenting was a thrill. With two huge screens projecting my powerpoint, I talked about my work and how I view the meeting point between music therapy and attachment theory. I led the large group in a drum circle and we wrote a song together. I showed them videos of you all from my groups (thank you!) to illustrate important points. Mia talked about her research on infant-directed singing. It went really well. 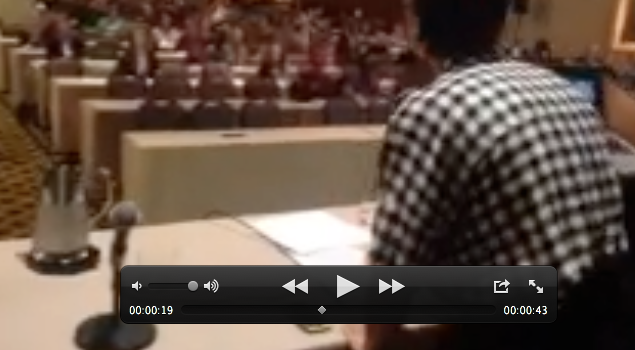 But even more exciting was hearing some of the other lectures. There is a huge body of research showing how important it is to focus on the first three years of a child’s life. Improper emotional care, (not just physical,) has been shown to increase the risk for heart disease, cancer and other illnesses. It is becoming more and more clear that resources should be poured into improving care for our babies. Which is why for the first time ever, early childhood was included in a mental health reform bill that was passed in congress. That is really exciting news. There was a lot of talk about biofeedback and neurofeedback as a way to improve behavior based on self learning. One direction that made me wonder why we haven’t been doing this all along and why we aren’t all doing this more is a computer game that helps teach kids how to regulate their own brainwaves. Sensors are connected to ear lobes to measure brain activity and spaceships (or other images) react to those brainwaves. The idea is to help the patient restore equilibrium in the brain. For instance, kids can learn how to increase the amount of orange space ships, those responding to brain waves associated with executive functioning, and reduce others responding to brainwaves that are leading to dysregulation. The hope is that with more research and development it will help reduce the need for meds. Sarah Watamura did a fascinating talk on the long term affects of toxic stress and how these can be buffered. Baby rats who were groomed and licked after reuniting with their mothers were less likely to maintain a high level of stress. Meaning, us parents can help our kids buffer stress so that it does not become chronic and debilitating. Her main point was that we need to save our stress for the big things. During life threatening events, our bodies use a stress mechanism that rallies in order to protect our functions and keep us safe. Wasting precious resources on worrying about the future or other daily stressors takes away from needed functions. She has found that babies who underwent trauma or whose mothers did when they were in the womb maintain a constant higher level of stress which reduces daily functioning. For kids this means that they may be maintaining a level of high alert, which calls on necessary functions and resources, which affects their ability to focus on schoolwork and learning. In her program she works with parents on “serve and return”, which basically means helping the parent become more aware of how they are reacting to their baby, mirroring, being attuned, etc. A lot of the stuff we do in my workshops. My biggest takeaway this year had to do with activism. In general, my activist self, which has been quite dormant for much of my adult life, has been waking up as a result of our political situation. So these talks hit a nerve. The first was Paul Schmitz who inspired each of us to be a leader by illustrating that even those who we see as great historical leaders, like Rosa Parks or Martin Luthor King, were led to their actions by the work and leadership of many people around them who didn’t end up being the face of the movement. His point was that we are all leaders and are all needed to make a change, it is not up to the few who will be the face of change in the history books. Hope. This one is loaded for alot of us these days. But we need to maintain our hope if we are to change our world for the better. Proximity. We need to get close to those who need our help. Go to their neighborhoods, find them where they are. Be willing to be uncomfortable. That’s the hardest one. But we know he is right of course. I walked away from the conference even more ignited to bring my skills to parents who need it, who can’t pay for it, who don’t have access to services like this. Last year I tried to volunteer at some hospitals in high risk areas because I figured that if I could help young moms find music with their babies in their first days together they would feel that much happier and more confident when they went home. I was rejected from the hospitals because of the intricate beurocracy of large institutions. But I feel reinvigorated to continue my search for where I can donate my time. If you made it this far in this post, you may be the person to ask. Do you know of any organizations or locations who would benefit from my workshops? I am prepared to donate time and am also looking for a grant situation so that I can do this on a long term basis. Thanks team. Great post, Vered. Informative and inspiring!